A staff of the information division of the "Company", JB's assistant and junior. She is a mixed-blood with 2/3 of Japanese and 1/3 of African. 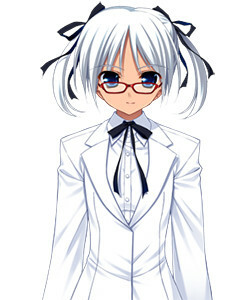 Therefore, she has a brown skin and silvery hair as her characteristics. Because of the nature of her work, she worries about her weight increasing due to her intemperance eating habits.